The current consumer mindset is to choose weight loss supplements that include natural ingredients that produce minimal to no side effects and are safe for people to take. Nutraceuticals, the makers of Drs. Select Weight Loss 4, has done just that. They have combined four “breakthrough” ingredients that they claim can produce tremendous results. But with all the other natural weight loss supplements out there to choose from, is this one any better or is it just the same thing in different packaging? 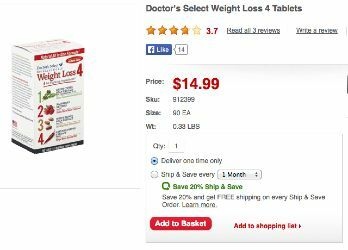 What is Doctor’s Select Weight Loss 4? The active ingredients in Drs. Select Weight Loss 4 include green coffee bean extract, white kidney bean extract (10,000 mg), raspberry ketones (125 mg) and cayenne pepper extract (88 mg). All of these compounds have been clinically proven to do everything from helping you burn fat and lose weight to suppressing your appetite and boosting your metabolism. Green coffee bean extract contains chlorogenic acid which increases your metabolic rate. An increased metabolism means you can burn calories a lot faster. White kidney bean extract is said to prevent carbohydrates from absorbing into your bloodstream so you will not gain weight. The recommendation is to take one capsule before each meal three times a day. It is also recommended that you take it with water. The cost for one bottle ranges between $14.99 and $17.99, depending on which online store you select (US only). Drs. Select Weight Loss 4 is suitable for both men and women. What this product has going for it is mostly its full disclosure of ingredients as well as the amount of them in the pills. And the fact that these ingredients are completely natural means you are not ingesting a bunch of chemicals and/or lab-made compounds. This is always a good sign. It is also easy to find and is considerably less expensive than many similar products. Men and women can both take Drs. Select Weight Loss 4 as opposed to other weight loss supplements that only target one specific group or gender. As good as this product looks and sounds, it is not without its many faults. The first is the fact that there is no website for the product, which means you have to order it through a third party. This seems strange coming from a well-known manufacturer trying to sell a “breakthrough” product. Along the same lines, without a website, there are no published reports or scientific studies available to support the claims of Drs. 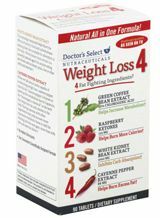 Select Weight Loss 4—just the generic info that the online store offers. The only thing a potential customer has to go on are the minimal (and unspecific) reviews that are left by other customers—some of which are mixed. And if you do choose to buy the product, there are no guarantees, so the money you spend is gone without having the opportunity to return it if you do not like it for any reason. Many other supplements offer a one-hundred percent, money-back guarantee within thirty days. While the ingredients are all natural, that does not mean there is not the potential for side effects to occur. White kidney bean extract, for example, can cause bloating and serious gas problems. 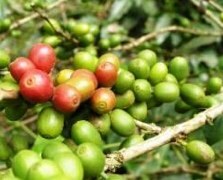 The caffeine that is found in green coffee bean extract may be too much for certain people if they already consume high levels of caffeine. There is also the risk of developing an allergic reaction to some of the ingredients as was listed on one website. Probably the most alarming and upsetting point about Drs. Select Weight Loss 4 is that there is no mention of modifying your diet or changing any aspect of your lifestyle. They are basically saying you can take the pills, continue with your normal lifestyle and still lose weight. Not only is this irresponsible, but it is not true—at least not for the long-term. Sure, you may lose some weight initially with the product, but unless you actively change the way you eat and regularly exercise, the weight loss will be very short-lived, not to mention unhealthy. For the low price that it costs, you certainly will not go bankrupt if you decide to try this product. However, use it at your own risk since there is no guarantee from the manufacturer that it works other than citing the benefits of each individual ingredient. But who knows if a combination of all of them actually works or if it is too much of a good thing. Not having a product website does not make for a comforting feeling. It is as if the product’s makers just threw some things together and shipped it off to stores to sell without worrying about questions that people might have about the product. You may be getting natural ingredients, but what you may not be getting is realistic results once you start using the product. In other words—spend your money on products with the same ingredients that can at least support its claims through proven research, customer testimonials and a money-back guarantee. Can be bought from US online pharmacy CVS as well as Amazon. 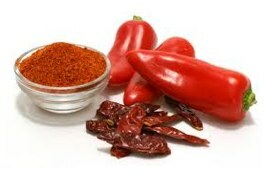 Cayenne pepper, green coffee and raspberry ketone are all highly effective ingredients given the right set of circumstances. We are going to suggest Raspberry Ketone as it is an absolute and solid reputation. 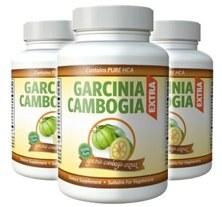 Garcinia Cambigia Extra contain not only raspberry ketone buy Garcinia Cambogia – to natural fat burners that when combined can also prevent the formation of new fat cels.